As subsidiary materials distribution company, Coffee beans. 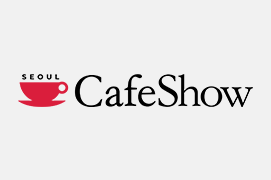 SHINSEGAE FOOD CO., LTD, CHOROC CO.,LTD, Woongjin FOOD CO.,LTD, THE COFFEEBEAN, Drop top, and big companies. 500 on your own coffee beans and coffee delivery of the relevant subsidiary materials. Especially, coffee beans is a queue grader of stringent quality geomjeunghu Used to supply good quality and the persistence of a 100 % Arabica and the price that she was coming in the interests of the supplier's declaration of interest. Maintain the policy of the company.The single farm in Ethiopia world, certified rfa utz green bean and it deals with. It's carrying a franchise cafes, coffee machines in Vienna, keullineo source. The sales presentationIn the world certified rfa, organic and cost-efficient, 100 % organic beans and coffee shop delivery to the freshly roasted coffee beans. Rfa, organic, certified organic ingredients.